When we watch our favorite TV shows and movies, we don’t often think about the furniture that they sit on or the settings that they interact with. We all love Captain Kirk and the struggles and triumphs that they endure, but who would they be without the setting in which they exist? We’ve compiled a list of the most iconic chairs and furniture from pop culture history to give you a taste of some of the great furniture that is out there hiding just beneath the surface of your favorite movies and TV shows. The Starship Enterprise, the ship featured on Star Trek (which aired from 1966 to 1969), offered viewers some of the most recognizable and sleek chairs in TV history. The flashy modern designs are quintessential seventies artifacts. Some had rounded edges, while other had sleek sharp corners: either way, these chairs were always leather and reflected a classy and futuristic aesthetic. To the chagrin of many Trekkies, many artifacts from the show were discarded after the show was canceled. 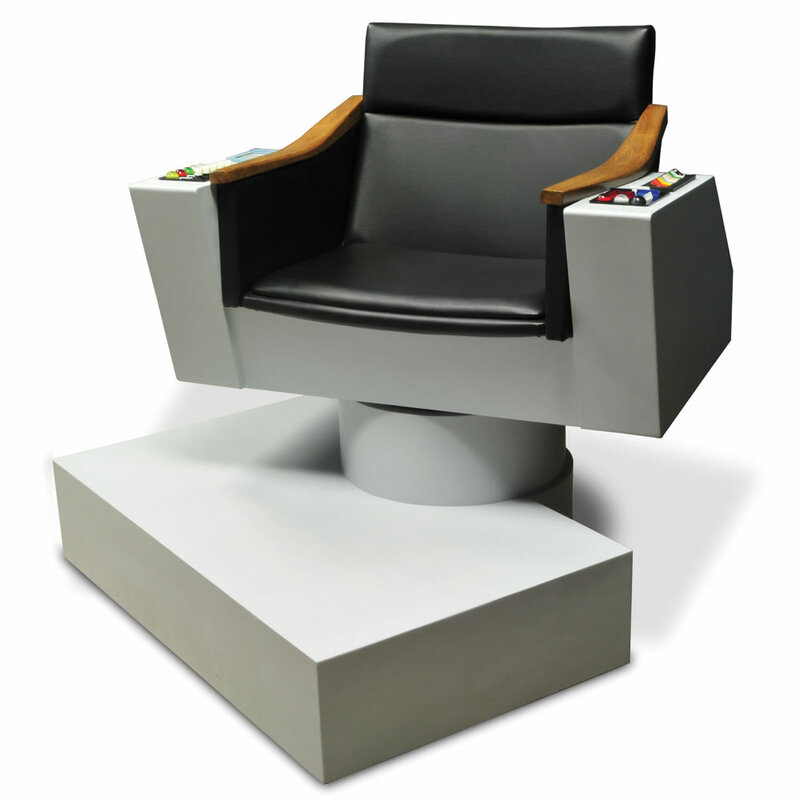 For true fans, it was Captain James T. Kirk’s command chair that held a place in their hearts. In 2002, the chair from the original Star Trek series was auctioned for $304,000. It should come as no surprise to some that fans have also built sophisticated replicas of the chair with their own time and devotion to detail and all things Star Trek! The Iron Throne (Game of Thrones) was said to be constructed by Aegon I Targaryen, the first king of the fabled Seven Kingdoms… at least that’s according to the legend on the show. This mighty chair was said to be built of a thousand swords surrendered by the enemies of Aegon. The throne is so important that the show chronicles the dynastic power struggle for control of this very throne. 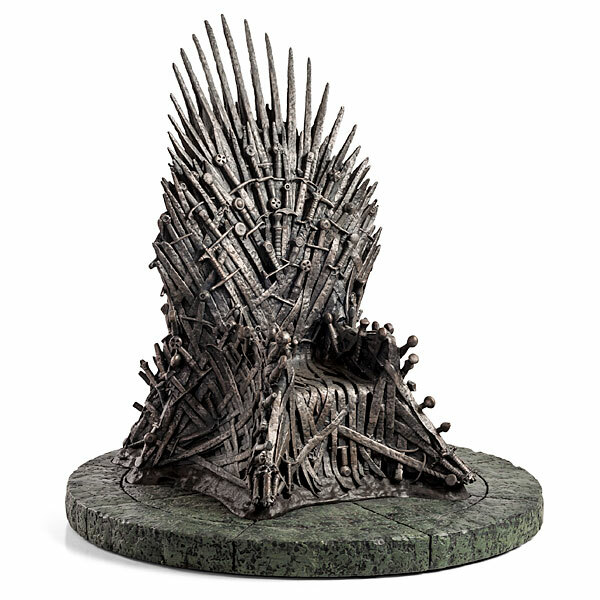 Similar in their level of devotion to Star Trek fans, Games of Thrones fans can purchase their own life-size replica constructed of hand-finished, hand-painted fiberglass and fire-proof resin for $30,000 (apparently shipping a 350-pound, 7’2”-high throne costs a whopping $2,500). The Academy Award-winning classic, Forrest Gump, is about a slow-witted, but big-hearted man whose life coincides with some of the biggest events in American history. Though Forrest does everything from exposing Watergate to investing in Apple, the movie starts out on a simple wood park bench at a bus stop. Forrest begins the movie by telling his story to a stranger sitting on the bench next to him. Located in Chippewa Square in Savannah, Georgia, steps from the oldest theatre in the U.S., the bench is still a popular spot for photo ops today. 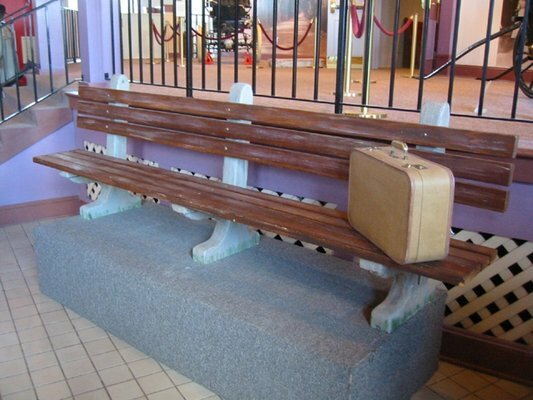 However, taking its place among Hollywood’s priceless pop-culture artifacts, the actual park bench used in the movie has since been placed in the Savannah History Museum. The classic Cheers theme-song still rings in many peoples ears today, “Sometimes you wanna go where everybody knows your name.” But it wasn’t just the theme song that kept people watching one of the longest running shows in history. 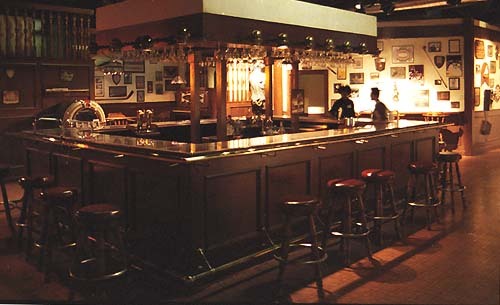 All of the regulars (Norm, Cliff and Frasier) had their own assigned bar stools around the main bar. In fact, Norm was so heavily attached to his particular seat that in the series finale, he tells to bartender Sam Malone that if his stool is not in heaven when he dies, it would just not be heaven. Such was the importance of this piece of furniture in the classic TV sitcom. Though The Matrix dealt with such heavy existential themes as the nature of reality, itself, it also offered some amazing aesthetics. The special effects were considered groundbreaking for the time and the characters costumes helped create a captivating sci-fi atmosphere. 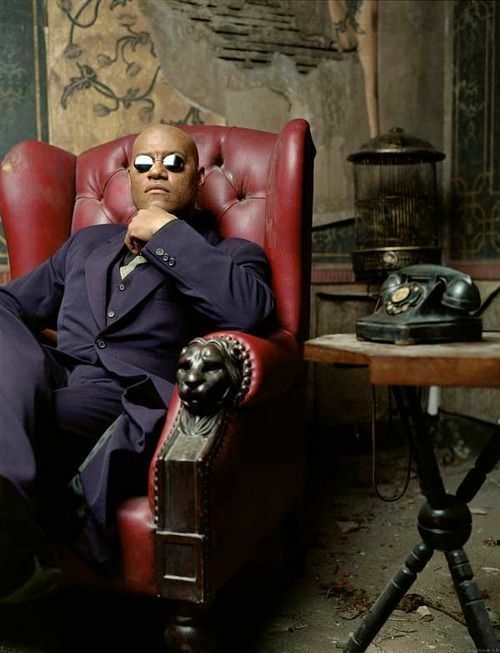 There was also something about Morpheus’ red leather Chesterfield armchair that gave his invitation to Neo to leave the Matrix a bit more weight and class. This early 2000s action classic won 4 Academy Awards, including Best Video Effects. It’s no wonder that it did with its quality set designs and classy chairs like these to help create such a powerful and captivating ambiance.